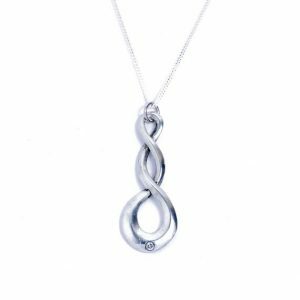 To make things a little easier we have split the website into many categories to enable to to easily navigate the website and find the products you are looking for. 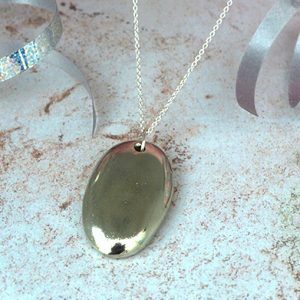 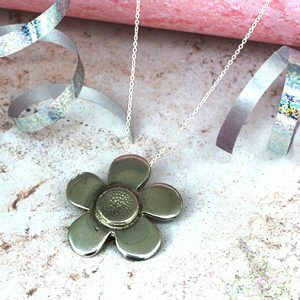 Here we feature a great range of Tin Necklaces and Pendants, all are hand crafted by skilled craftsmen in our workshop in Cornwall. 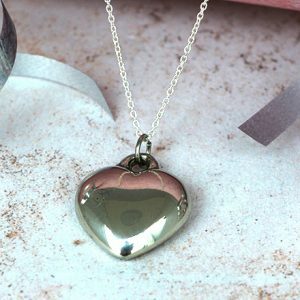 The great properties of tin means that none of our tin necklaces and pendants are exactly the same, tin has a tenancy to react differently on each cast, its this fantastic nature that means you tin necklace will never be exactly the same as anyone else’s, making for a truly unique product for your loved one. 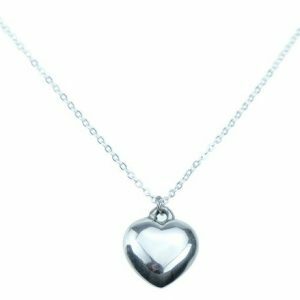 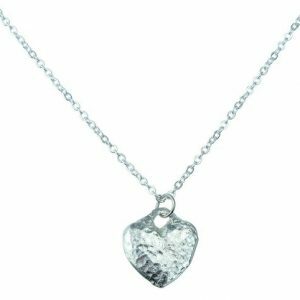 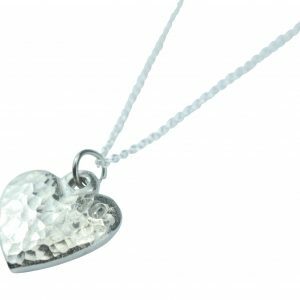 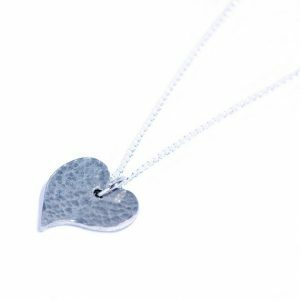 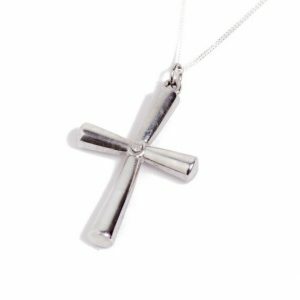 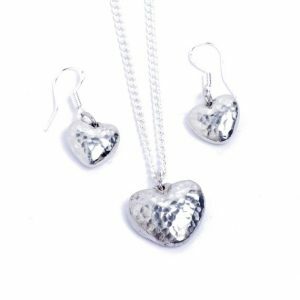 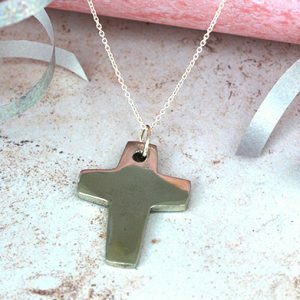 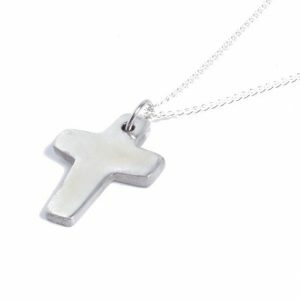 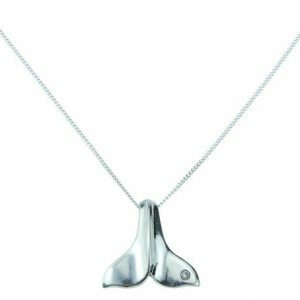 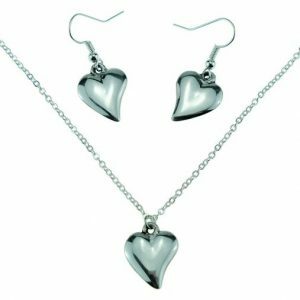 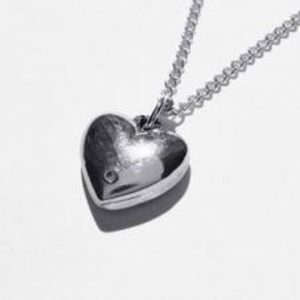 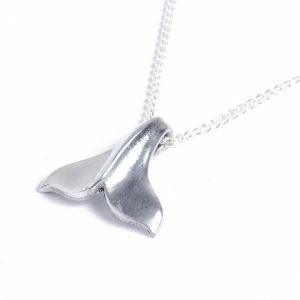 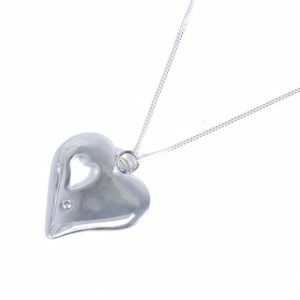 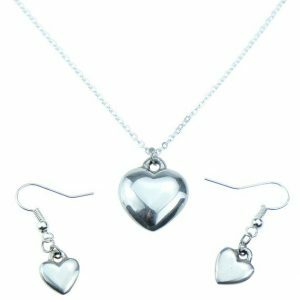 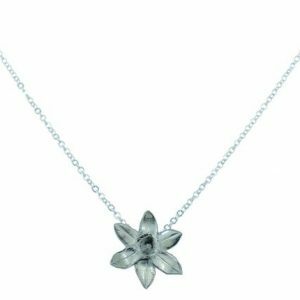 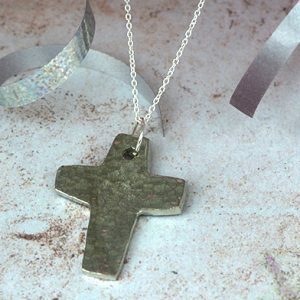 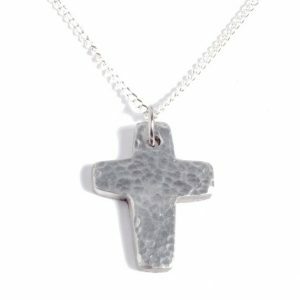 Our range of necklaces and pendants come in a variety of shapes and designs and we are always adding new designs to keep providing you with choice, our range includes our popular beaten range, the polished tin and diamond heart range, and the latest addition the tin and diamond starfish pendant. 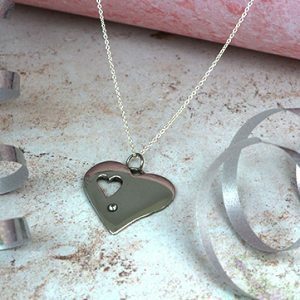 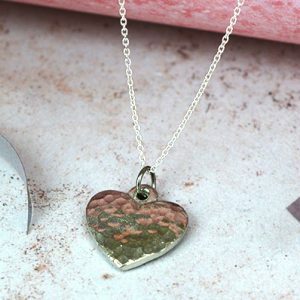 A simple, elegant tin heart pendant. 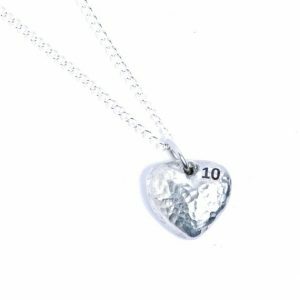 A traditional 10th anniversary tin & daffodil gift. 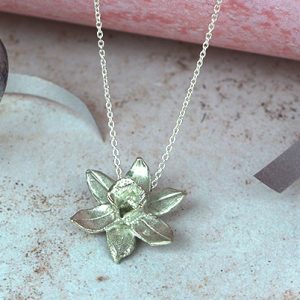 He loves me, he loves me not, he loves me! 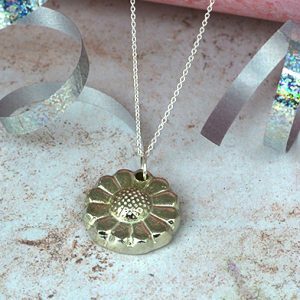 daisy pendant. 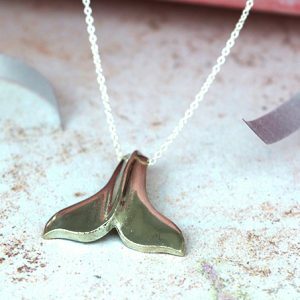 A perfect delicate necklace unlike any other.